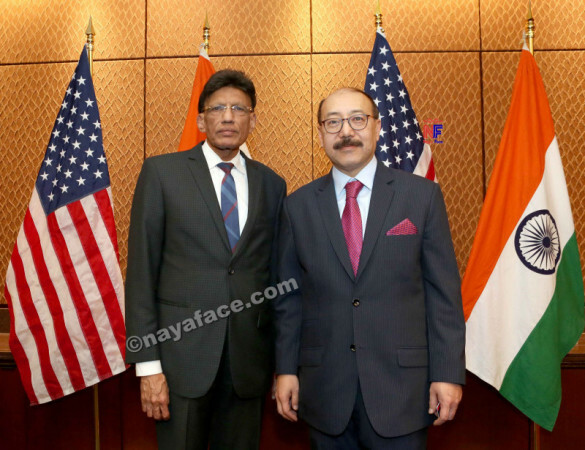 CAPTION: Harsh Shringla, India's newly-appointed Ambassador to the US, right, with TV Asia chairman and CEO Padma Shri H R Shah, at the Congressional reception on Feb 7. 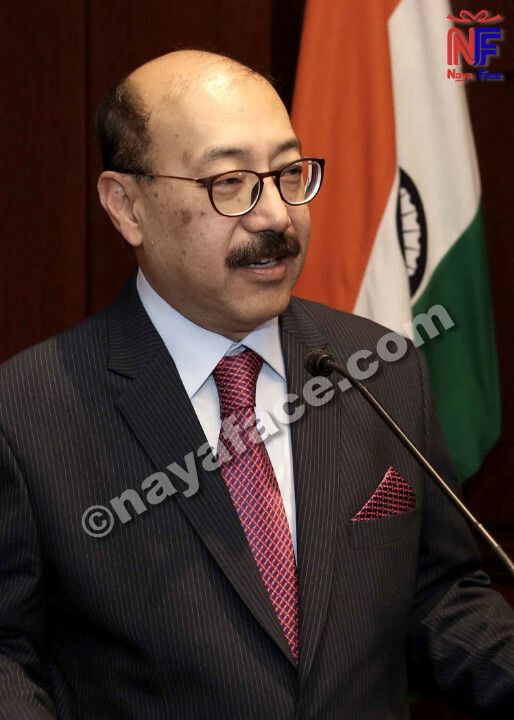 In a show of unprecedented bipartisan support, 67 lawmakers from both chambers of the US Congress attended a Congressional reception on Capitol Hill Feb 7 for new Indian Ambassador Harsh Shringla. Also among the attendees at the invitation-only reception were TV Asia chairman and CEO, Padma Shri H R Shah, several business associations and members of the media. The Congressional reception was hosted by the Co-Chairs of the Senate India Caucus and Congressional Caucus on India and Indian Americans, Senator John Cornyn (R-TX), Senator Mark Warner (D-VA), Congressman Brad Sherman (D-CA) and Congressman George Holding (R-NC). The event was attended by lawmakers from both the Senate and the House. 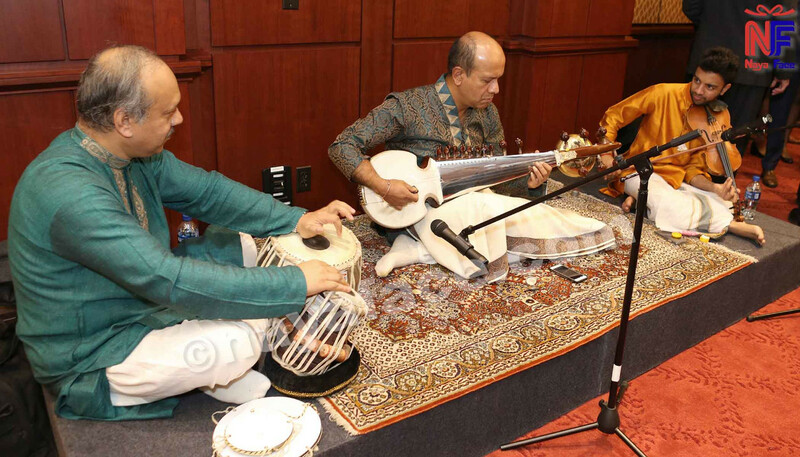 In addition, prominent members of the Indian American community from across the US. In their welcome remarks, Senator Warner, Senator Cornyn, Congressman Sherman and Congressman Holding, underlined the importance of the India-US strategic partnership and the critical role played by Congress, in particular, the India Caucus in strengthening relations. They extended a warm welcome to Ambassador Shringla and committed to working together in building closer ties between the two countries. The lawmakers also appreciated the significant role played by the Indian American community in building bridges of understanding across the two cultures and nations. 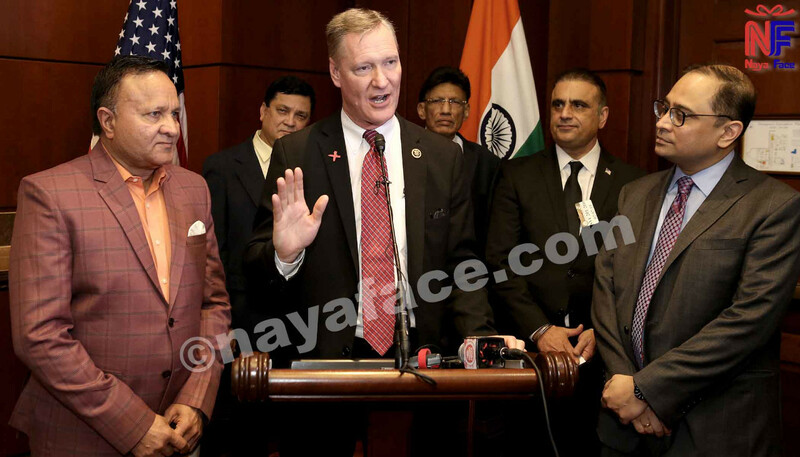 They called upon the new members of Congress to join the India Caucus. Conspicuous by attendance were Congresswomen Pramila Jayapal (D-WA) and Tulsi Gabbard (D-HI) as well as Congressmen Frank Pallone (D-NJ) Raja Krishnamoorthi (D-IL) and Ro Khanna (D-CA). Congresswoman Carolyn Maloney (D-NY), in her remarks mentioned she will be introducing a bill in the 116th Congress to award a Congressional Gold Medal to Mahatma Gandhi in this 150th Birth Anniversary year. Congressman Gregory Meeks (D-NY) said in his remarks that Mahatma Gandhi had been an inspiration for him. Congresswoman Grace Meng (D-NY) mentioned her support for India's permanent membership of the UN Security Council. House Majority Leader Steny Hoyer (D-MD) also attended and spoke about the great contributions of the Indian American community across all fields in the US. Ambassador Shringla thanked the Caucus Co-Chairs for their warm welcome. 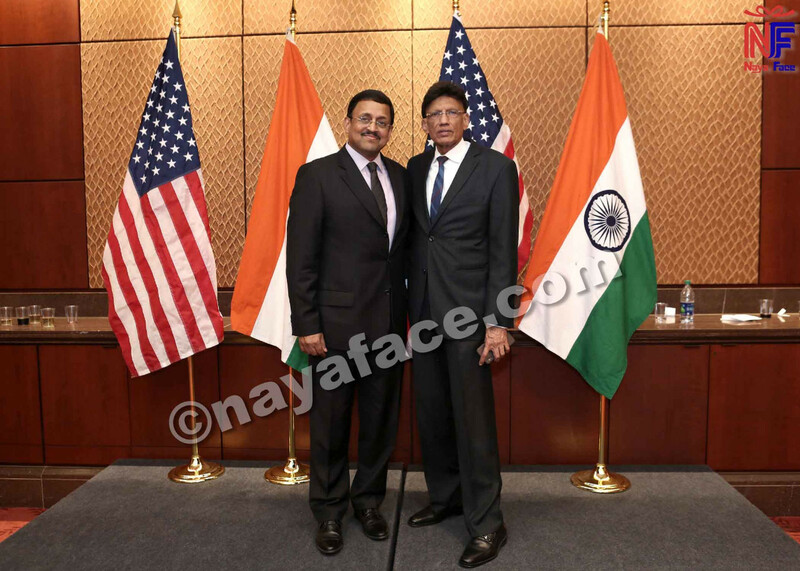 The Ambassador noted that the bipartisan support for the India-US strategic partnership was reflected in the turnout of the Members of Congress across the aisle for the event. Further, the overwhelming support for the relationship with India is attested by the fact that the India Caucus is the largest country-specific Caucus on the Hill. He thanked the Indian American Diaspora for serving as cultural Ambassadors of India and contributing to a strong foundation for the strategic partnership between the world's oldest and largest democracies. The Ambassador also spoke briefly about the progress made in bilateral ties over the past year across all domains - defense, economic and trade, energy cooperation, culture and people-to-people exchanges. Following the Congressional reception, Ambassador Shringla hosted a meet and greet and dinner event at his residence.